I learned something new this month. 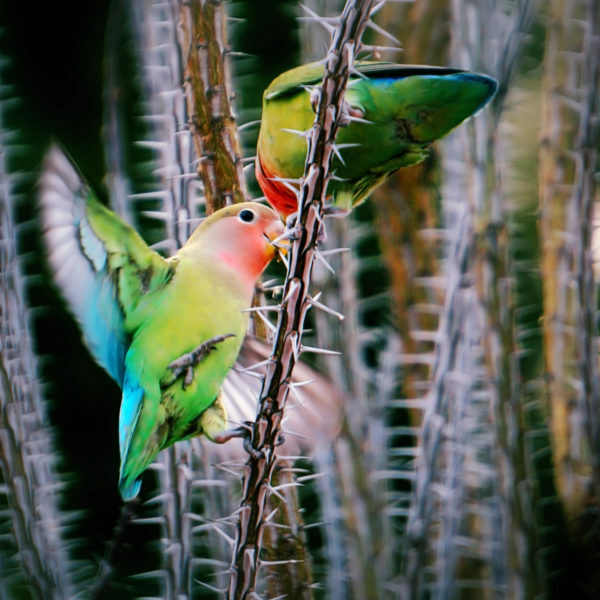 The rosy-cheeked lovebirds I’d enjoyed in Stephen Hartley’s photos (see below) are feral birds that were pets that escaped from homes and flourished in the wild in Phoenix, Arizona. Gosh, they’re adorable with their little pinkypeach cheeks. 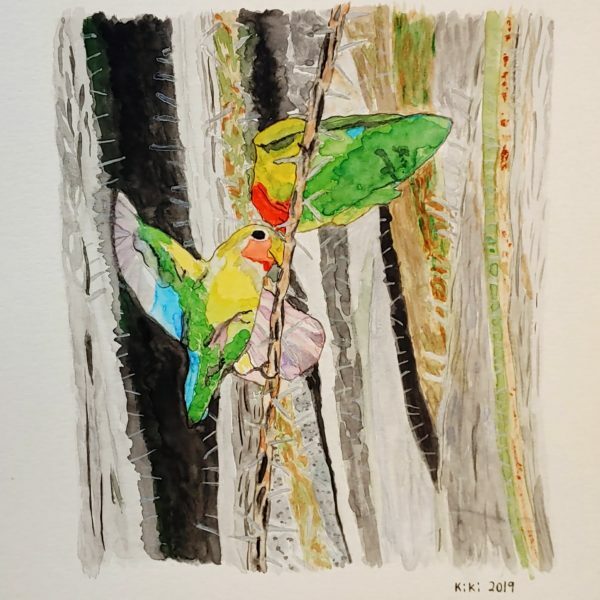 As usual, Kiki Hall used her watercolors to make a lovely painting of our bird of the month. 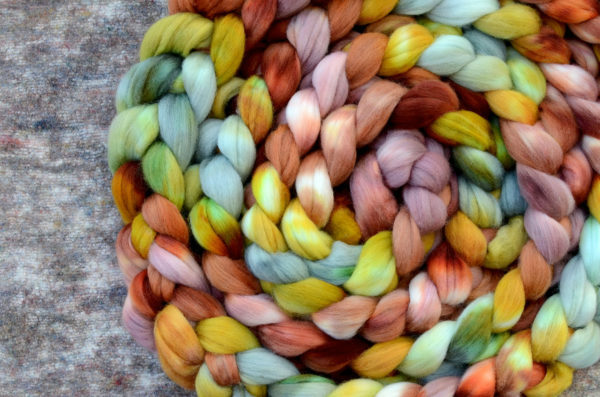 I dyed some of the many lovely colors found in these adorable birds on Falkland wool. This is definitely on the fine/soft side of Falkland wool. It’s soft enough for next-to-skin for most people. I wouldn’t hesitate to use it for a baby or anyone else! 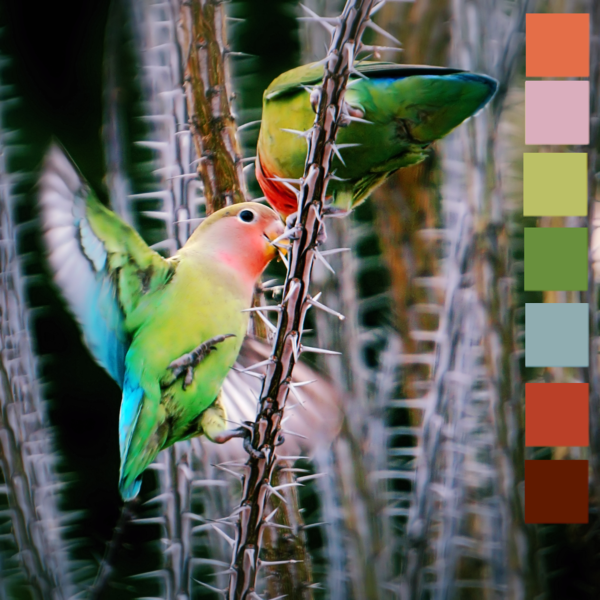 This one will mute with the more plies you use. If you want to keep the colors clear, spin it as singles or chain ply it, or spin a two ply from the top split and spun so the colors (mostly) match up. Fractal spinning would be fun so you get some muting and some clear colors.